Enjoy some entertainment at The Comedy House Bangkok, hosting comedians from around the world. If you're visiting Bangkok and looking for something different to do at night, this is the place for you. Shows are in English and last under a couple of hours--so you'll have plenty of time dine before or after at another location in the city. Tickets can be purchased online or at the door. Check the website for upcoming shows and other details. 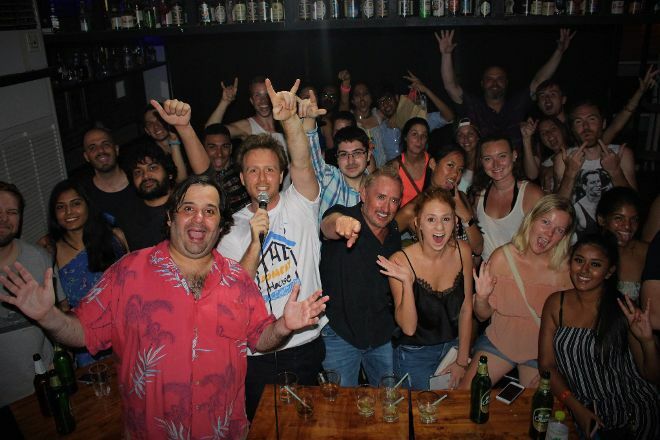 To visit The Comedy House Bangkok on your trip to Bangkok, use our Bangkok itinerary builder . Awesome place to go! Dustin (the host) was funny as hell and the comedians were also great:) first stand up comedy show I have been and I will go there again when in Bangkok. Keep up the great work guys! Funny joke and fun atmosphere We got a flyer in the street from a comedian and knew we wanted to see the show. We were not disappointed one bit. We will definitely come again on our next visit to Bangkok.